Bizkaia Talent, an association that has been a key driving force and mainstay in Bilbao, in the province of Bizkaia and in the Basque Country at large, as regards generating the necessary conditions to attract, engage and retain highly qualified people working in the field of innovation and knowledge. It has recently launched the first edition of the “¿Qué es Bizkaia Talent para ti?” competition with IK4-TEKNIKER as the winner under the "Organisations" modality. The purpose of the competition was to portray how users viewed this association with regard to its activities and their impact on them. 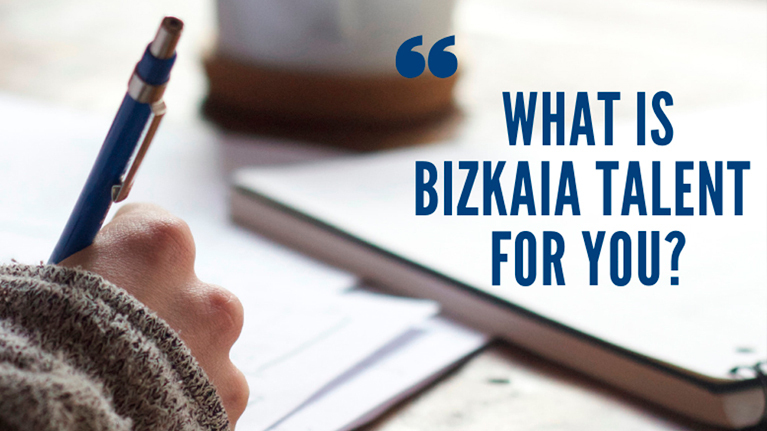 Participants, therefore, was asked to explain through metaphors, storytelling, drawings, etc., what Bizkaia Talent means for highly qualified professionals and organisations. Thanks to its contribution, IK4-TEKNIKER has recalled how relevant the mission that initially gave rise to Bizkaia Talent (formerly called Bizkaia Xede) was, its extensive track record, unflagging commitment and outstanding actions always focused on issues of mutual interest and requirements that IK4-TEKNIKER has had to meet in terms of territorial development. “Bizkaia Talent currently offers a large number of highly innovative services designed to attract, engage and integrate high-level talent in the Basque Country, a fact that has been extensively recognised by specialised national and international forums”, says Francisco Febrer, Manager for Persons Development at IK4-TEKNIKER. In this regard, Mercedes Aja, the Director of Persons and Organisation at IK4-TEKNIKER, also states that “the Bizkaia Talent team has given visibility to the diaspora of highly qualified professionals that want to return to the Basque Country and to people who originally from other parts. It has established a dynamic network of relationships which has undoubtedly enhanced our process consisting in attracting and developing talent”. The award given to the technology centre consists in publishing a report in the Bizkaia Talent newsletter (with 11,000 subscribers) describing talent management actions and practices at IK4-TEKNIKER.